Chapter 7 Bankruptcy gives an individual an opportunity for a fresh start. Also known as a straight bankruptcy, It is the most common type of bankruptcy. The term chapter 7 refers to the chapter under title 11 of the US code that authorizes bankruptcy filing. Approximately 75% of bankruptcy filings are chapter 7’s. Usually the process lasts about 4 months after which debtors are granted the discharge that wipes out all their unsecured debt. Filing chapter 7 bankruptcy does not mean you are not allowed to keep anything. The law allows you to keep certain exempt assets.These exemptions are stated under California bankruptcy exemptions section 703 and 704. In most cases, Most debtors will get to keep all their assets if proper planning is used to protect the assets prior to and during the filing of the bankruptcy petition. An experienced bankruptcy attorney can make sure you will get to keep your house and car. If you are not sure what assets will be protected and what assets are at risk, feel free to call us. We welcome the opportunity to explain how we can protect your assets so that you know what is chapter 7 and what can chapter 7 bankruptcy do for you. Caution, Chapter 7 can not be canceled. If you file bankruptcy and your assets are not protected, the trustee will liquidate unprotected assets to pay your creditors. Do not guess! The chapter 7 means test determines whether you qualify to file for chapter 7 bankruptcy. Chapter 7 is the preferred bankruptcy option. But to be able to file, you must pass the means test. Otherwise your bankruptcy options are limited to chapter 13. 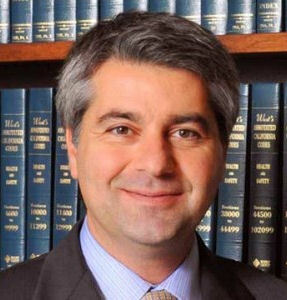 An experienced Los Angeles Bankruptcy attorney will be able to qualify you. We practice only in bankruptcy law only. We know how to use every deduction and expense to qualify for chapter 7. You can find out more about the means test with a complete video explanation. Chapter 7 attorney fees vary from $795.00 to $3,000.00. The fee is based on the amount of unsecured debt and number of creditors. Your income level and qualification to pass the means test. Types and amount of assets involved are also a factor. All legal issues that may effect the attorney fees will be determined during the free consultation. In most cases, attorney fees will be between $1200 to $1500. You are encouraged to contact us and we will quote all fees upfront so that you know exactly what chapter 7 bankruptcy will cost you. 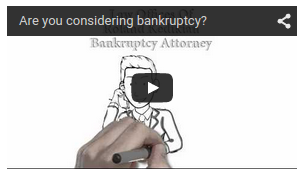 Find our More How an Experienced Chapter 7 Bankruptcy Attorney Can Help. To Understand Differences Between Chapter 7 and Chapter 13.